Lemons into lemonade? 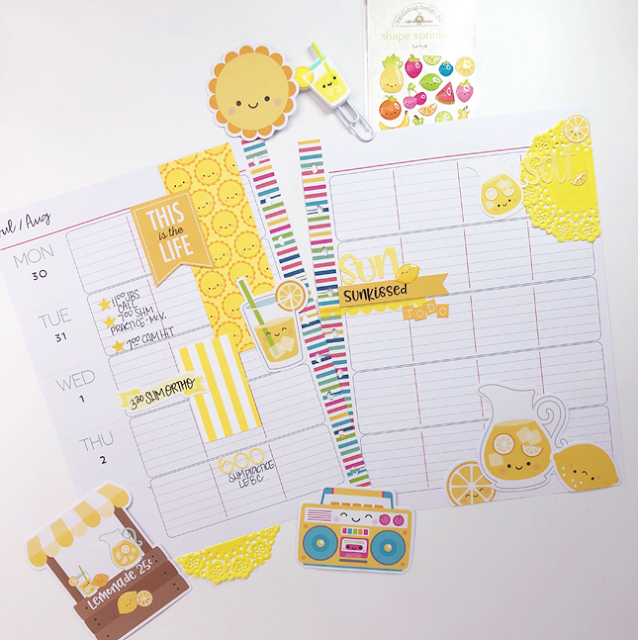 That is exactly what I have done this week in my Happy Planner with the Doodlebug Sweet Summer collection. I absolutely love yellow and the lemon & lemonade icons in the collection. I had to use them this week in my planner and I am so glad I did! First time I am going by this blog. I discovered such gigantic amounts of attracting stuff in this blog, particularly its dialog. From the massive measures of remarks on your articles, I think I am the only a solitary having all the entertainment here! Keep up the extraordinary work. Your blog held my inclination impeccable to the particular end, which isn't all around a clear development!! ( buy essays )A responsibility of appreciation is all together for the standard blog. Appreciative to you such an unfathomable total for contemplating your substance and your per customers. Love the monochromatic look!!! So bright & cheery!!! Thank you for sharing such brilliant and beneficial article. we are imparting decision associated with circulate QuickBooks Error 1328. If anyone dealing with problem related to QuickBooks Error 1328.So you can directly call us at our QuickBooks tech support Number +1-877-249-9444.